Is your home or business properly wired to grow with you as technology changes? No matter what your situation is, Klepps can easily transform your property to take advantage of emerging technology. We do it all – Design, installation, testing, and maintenance of network infrastructure wiring. Call us today to have your data center, commercial building or house wired for tomorrow’s technology. Call (425) 223-3164 today to arrange your free consultation. Whether you are building a new structure (commercial property or residential home) or remodeling your existing property, it is essential to properly plan your wiring infrastructure and data capabilities. A structured wiring system will adapt your home or business to your changing lifestyle and needs. It will also ensure that your building has the proper cabling to anticipate future technologies that have yet to be installed. 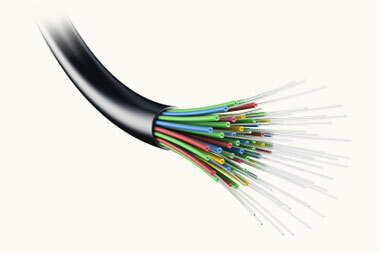 The amount of cabling used in any high-tech home far exceeds the old standards. The cable is installed behind your walls from one central enclosure and distributed to multiple rooms or multiple locations within the same room. This strategy consolidates all of your communications into one centralized location. Digital wiring systems include fiber optic communications; Klepps is fully trained and certified to install, splice and test fiber optics. If you’re just starting out a residential or commercial project, Klepps can work with your builder, interior designer and electrician to create a wiring plan that meets all of your automation needs today and long into the future. The costs associated with wiring a house in the construction phase will vary based on the size of the home and the amount of cable pulled. This price will be much lower than running the same cables after the walls are up. 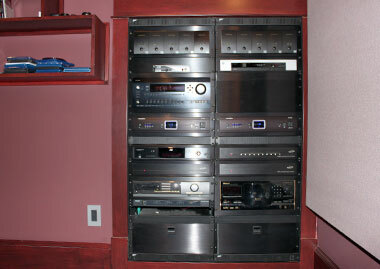 A structured wiring system will save you money because you will not have to purchase multiple audio and video components in multiple rooms. Before you change the color of a room, Klepps can open walls, rewire a room — by the time you paint, your walls will look perfect. Never fear — rewiring can be done anytime. No matter how complex the job, Klepps will keep wall intrusion to a minimum and will open walls in discreet locations whenever possible.